Home / Blog / Is Aspirin Use Sabotaging Your PRP Treatment? We’ve all been told for many years that we need to take an aspirin a day to help prevent heart attacks. Hence, there are many people that take this drug every day. However, given that aspirin is a blood thinner, does it impact the way your platelets work? If so, does that change the way platelet-rich plasma works? Platelet-rich plasma (PRP) is a cocktail made from concentrating the platelets in your blood. The procedure is commonly used these days in diseases like knee arthritis, tendon tears, and other orthopedic problems. However, like anything made from your body, what you take as far as daily medications may impact the efficacy of the PRP made from your blood. Aspirin is perhaps the most well-known drug on the planet. It’s been around not for just for a few years or decades, as most other drugs in use today, but since just prior to the turn of the 20th century (1899), when Bayer began production of the drug for commercial use. Before that, it was known for centuries that willow bark (a source of the active ingredient in aspirin) helped fevers and pain. Aspirin is most commonly used to relieve pain and inflammation, reduce fevers, and prevent blood clots. The latter use, its blood-thinning capabilities, is what makes aspirin most stand out from its other nonsteroidal anti-inflammatory drug (NSAID) and pain-killer counterparts. So potent is its ability to prevent blood clots, that many physicians recommend it as a daily preventative for patients who may be more at risk for heart attacks or strokes. Surgeons will typically take patients off aspirin prior to surgery, however, to lower the risk of hemorrhage. So is all this aspirin use a good idea? One study suggests probably not if you’re planning a PRP treatment. Let’ review. The new study, consisting of 12 men, investigated the effects of aspirin on the release of growth factors from the platelet in PRP. Blood was drawn and PRP prepared prior to aspirin initiation and grouped by nonactivated or activated (AA and TBN) PRP, and the process was repeated after the men had been on 81 mg of aspirin for two weeks. Blood and PRP comparisons were then made on the before and after collections. The results? The release of growth factors (specifically VEGF, PDGF-AB, and TGF-β1) was reduced in the AA-activated PRP after these subjects had taken the low-dose of aspirin for two weeks. While the study discussed that there was a way to possibly fix some of these issues, not all of them could be fixed. What does this mean exactly to those who are taking aspirin and planning a platelet-rich plasma (PRP) treatment? It means your aspirin use could sabotage your PRP treatment, making your outcomes less desirable than they could be. What Else Do We Know About Aspirin? So what if you’re not planning a PRP treatment, is aspirin OK? One study concluded that an aspirin a day (often recommended to prevent heart attack and stroke) was associated with a greater risk of major hemorrhage. And the kicker on this one is that it found no significant lower risk of heart disease with aspirin use. It’s also important to note that while aspirin is a blood thinner, pain killer, and fever reducer, it is also an NSAID and carries many of the dangerous risks associated with taking any other NSAID. How Long Do the Effects of Aspirin Last? When should you stop aspirin prior to a stem cell procedure? It takes about 10 days for the effects of aspirin on platelets to wear off. Hence, to be safe, I would stop the aspirin for two weeks before the procedure, and given that platelets have to release growth factors for two weeks, you should be off it for two weeks after the procedure as well. Obviously, discuss all of this with your doctor! The upshot? You should likely get off aspirin before and after your PRP procedure. Just follow the guidelines above after clearing it with your doctor. Does acetaminophen or naproxen sodium have the same effect? 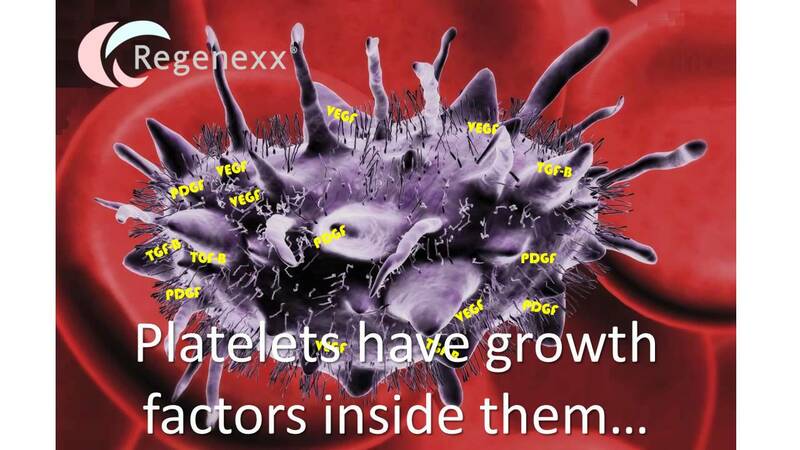 Do proteolytic enzymes such as Wobenzyme have deleterious effects on platelets? The Bromelain in Wobenzym also has blood thinning properties.